what is the wall made of? is it a wallpaper? 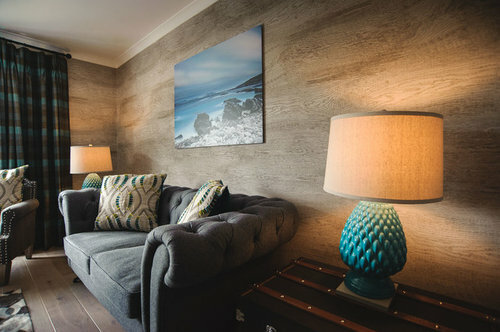 Ewa , Thank you so much for your inquiry regarding the above photograph, the material used on the walls is actually and industrial weight wall covering that we offer, we have hung this horizontally as opposed to its traditional method which we feel adds more impact and looks more authentic. It is supplied in double rolls 8.2 metres in length is 68.5 cm wide and costs £144.00 per roll. It is available from us in 9 colour ways and we can provide samples should you require them. Delivery appx 10 days from stock. It is extremely hard wearing and robust and we think it is stunning. Please do not hesitate to contact us if we can be of any more service. Best regards Malcolm W Duffin. Can a clueless amateur demolish the modern without harming the old?